If you are like the majority of Fredericksburg residents, you want a beautiful green striped lawn, but you just don’t have the time to do everything that needs to be done to keep a lawn in tip-top condition. We all lead busy lives these days. Not only that, many people simply don’t know what should be done and when in order to achieve that perfect finish. Even if you are an avid gardener and do have the knowledge, there are so many other things to take care of in the yard, that the poor old lawn often gets left until last, just getting a mow a couple of times a month. At Fredericksburg Lawn Care, we have both the knowledge and the time. We care for the lawns of many residents in the city, as well as for businesses, and public lawns in addition, and we have been doing so for years. 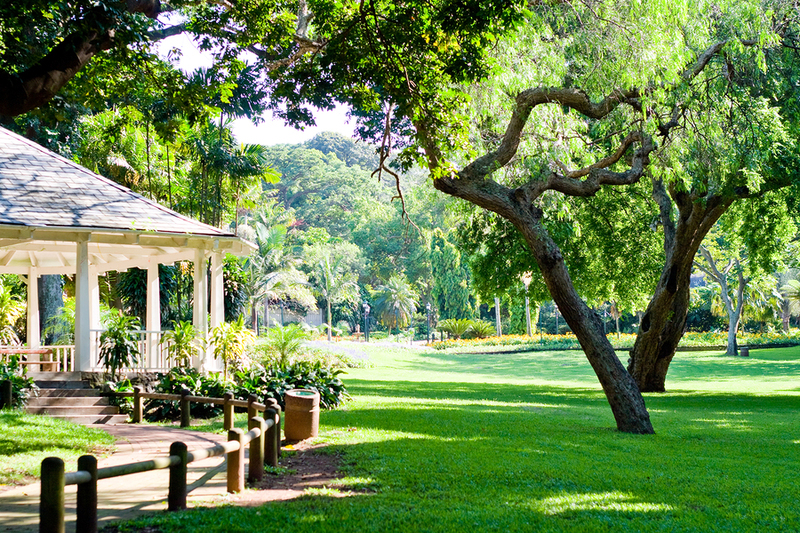 Many of the lawns that you see and admire both on private and public land are cared for by us. We can do the same thing for your lawn. We provide every lawn care service that you will need. Of course, it may be that at the moment you do not even have a lawn. This is no problem. As you might expect, Fredericksburg Lawn Care can supply turf and lay it for you, which creates a virtual “instant” lawn, or we can seed one for you. You may well be wondering what the difference is. There are a couple of answers to the question. First, with turf, you get a lawn immediately, whereas with seed it is going to take a few weeks to establish. However, while there are different grades of turf, the choice is more limited than with seed. For the finest Fredericksburg lawns, we always recommend a premium grade turf, but there are cheaper options. Seed mixes can vary quite considerably, so you can choose the best for your purposes. For instance, if you have young children, you will want a lawn that is more hard-wearing than if you are retired and are only going to sit on it in the sun. You can also choose a seed mix that is shade or drought tolerant, whereas with turf you are limited to what the grower can supply. Cost is another important factor. Seed is probably around one tenth of the price of turf. However, when you use seed it will need more attention for the first few weeks. There is the possibility of attack by birds, and seed can also wash away when sown on steep slopes. Seed is probably the best way to repair bald patches on an existing lawn. Furthermore, when you seed a lawn in Fredericksburg you know that if you need to repair it several years later you should still be able to buy the same mix. Assuming that you already have a lawn, there are several things that Fredericksburg Lawn Care needs to do in order to bring it up to – or keep it up to – perfection. Quite obviously, it needs regular cutting. However, in addition, it needs aeration. This is a job that should be done every other year, or for lawns with heavy traffic every year. There are two types of aeration – plug aeration and spike, or push, aeration. Spike aeration pushes soil deeper into the ground, allowing air to circulate around the roots, but is not suitable for heavily compacted lawns, or those with poor drainage. Plug aeration removes a small core of soil and grass from the lawn, allowing air to circulate, but also improving drainage. Edging your lawn in Fredericksburg is probably the fastest way to make your whole yard look great. After mowing the lawn, it will need occasional edging to give a clean line into the borders. Of course, we also use special fertilizers in order to promote healthy growth of your grass. In addition, we apply weedkillers where necessary. Although our company name is Fredericksburg Lawn Care, we can do a whole lot more for you than just look after your lawn in Fredericksburg. In fact, if you just want a beautiful yard with flowers and shrubs, and do not have the time or the inclination to become a gardener, we can take care of your whole yard. We undertake shrub maintenance and pruning. Different types of shrubs need different treatments. Some need regular pruning. Others need to be pruned at different times – after flowering, in winter, in early spring, or in late summer, for instance. We take care to carry out shrub maintenance at the correct time. Weed control is another service. Keeping paths and driveways free of weeds keeps your yard and home looking spick and span. Mulching is also a great idea to keep your borders weed free and looking great, while at the same time benefiting the plants that you want. It also saves time watering. Wood bark mulch spread on the borders suppresses the growth of weeds, and at the same time keeps moisture in the soil where it can benefit the plants and prevent the roots from drying out. We can also use wood bark mulch on pots and containers. Eventually, the mulch will break down, releasing valuable nutrients into the soil which get taken up by the plants and giving you better blooms. Fredericksburg Lawn Care also undertakes sweeping and removal of leaves that cover the ground in the fall. In addition to that, we will remove snow from paths and driveways in the winter, so that you do not run the risk of slips and falls, and you can get your car out of the garage. Whatever kind of services you need to ensure that your yard looks great all year round, Fredericksburg Lawn Care can provide it. We have the people and the skills and we enjoy what we do. We take pride in ensuring that your yard and lawn is in world class condition all year round. In order to establish exactly what we can do for your lawn and yard, simply call us on 540-369-4563, or click on the Free Quote Form at the top of the page. We will happily make a no obligation visit at a time to suit you in order to discuss your requirements. Lawn Care services available in Fredericksburg, Spotsylvania, King George, Quantico and Stafford, VA.